"Modern sports" were introduced to Asia in the late nineteenth century as an innovation from the West, concurrently with the development of modern society in Asia. 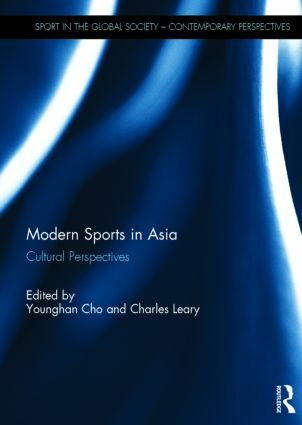 This book traces the historical developments of sporting cultures in Asia in specific local contexts – including Singapore, China, Myanmar, Taiwan, the Philippines, and India – and their intersections with larger social developments of colonialism, postcolonialism, nationalism, and the building of modern Asia and its place in a globalized world. The case studies herein present the social history of modern team sports with standardized rules such as basketball and cricket, and less familiar sports such as fives and chinlone, as they vacillate between global and local perspectives. This book also shows that modern sports have had an important influence on the makeup of everyday life in Asia, and the essays here also consider sports’ impact on gender, body culture, and celebrity culture, among other concerns. This book painstakingly bridges the gaps between Asian Studies and Sports Studies in a way that reflects the historicity and multiplicity of sports in Asian societies. By adopting multi-disciplinary approaches, this book innovatively offers significant intersection between sociology, cultural studies and Asian studies of sport in Asia. This book was published as a special issue of Sport in Society. Younghan Cho is Associate Professor in the Department of Korean Studies at Hankuk University of Foreign Studies. Charles Leary is Senior Lecturer in the Department of Media, Culture, and Communication at Curtin University Sarawak. The social, cultural (including media) and political study of sport is an expanding area of scholarship and related research. While this area has been well served by the Sport in the Global Society series, the surge in quality scholarship over the last few years has necessitated the creation of Sport in the Global Society: Contemporary Perspectives. The series will publish the work of leading scholars in fields as diverse as sociology, cultural studies, media studies, gender studies, cultural geography and history, political science and political economy. If the social and cultural study of sport is to receive the scholarly attention and readership it warrants, a cross-disciplinary series dedicated to taking sport beyond the narrow confines of physical education and sport science academic domains is necessary. Sport in the Global Society: Contemporary Perspectives will answer this need.